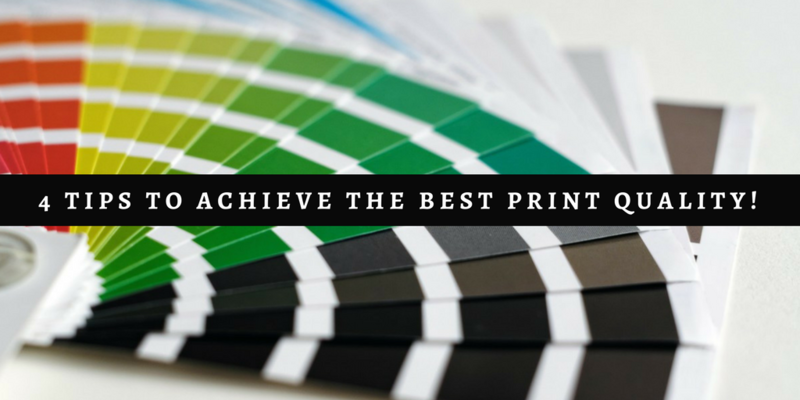 4 tips to achieve the best print quality! We often find ourselves looking at printed copies that hardly resemble the kind we see on our monitors. Though it isn’t possible to replicate, here are four tips that will help you achieve the best prints. JPEGs are great for saving space but aren’t the best for prints. Compressed image formats exclude a lot of data and generally optimised for viewing on a screen. Unprocessed RAW files and PSDs are your best bet to preserve quality. And as conventional wisdom goes, bigger the file size, better is the quality of prints. Regardless of the file format you use, the resolution of the file matters. A high resolution file that’s larger than the print area can be shrunk, but low resolution file will pixelate and distort when enlarged. This can drastically affect the print quality. For this reason, it’s best to save files in the highest resolution possible. As a rule of thumb, printers with a higher DPI produce better quality prints. So, while saving files, it is best when saved with a higher count. Since the file size increases proportionally with DPI, 300 is the generally agreed upon standard. At this density, prints have photo-realistic quality at a reasonable file size. The texture and the quality of the paper plays a huge role in the quality of the print. Though there are no hard and fast rules, papers can be mixed and matched to find the one that works best. Ask any questions and/or share your printing tips to get the best quality in the comments section below.